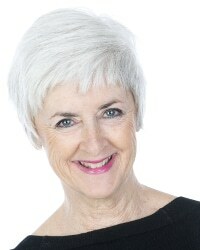 Gael Hannan is a writer, speaker and advocate on hearing loss issues. In addition to her weekly blog at the Better Hearing Consumer, which has an international following, Gael wrote the acclaimed book “The Way I Hear It: A Life with Hearing Loss”. She is regularly invited to present her uniquely humorous and insightful work to appreciative audiences around the world. Gael has received many awards for her work, which includes advocacy for a more inclusive society for people with hearing loss. She lives with her husband on Vancouver Island, British Columbia, Canada.